Roesch Meats and more | Chatham-Kent Agriculture Development | We Grow For the World! 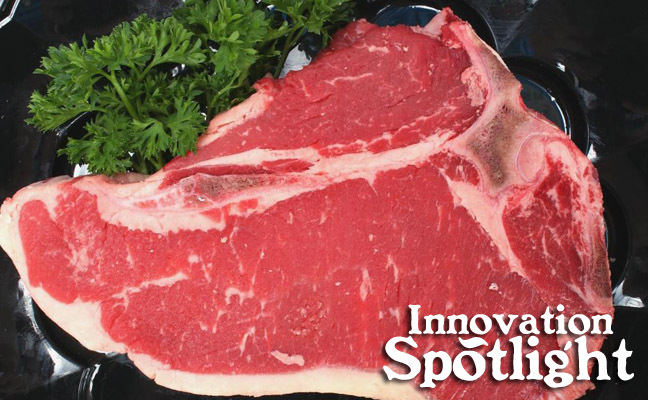 Roesch Meats and more has been serving the highest quality, freshest meats available since 1995. Their pork is fed and raised on-site, with no medication in the feed or water. They also offer Ontario beef and chicken, and all is sold through their on-site retail operation. Lamb is available through pre-arrangement and they will custom process your wild game for you. Owners, Louis and Clara Roesch, take great pride in their fresh, wholesome product. Their fresh and smoked sausages are made from highly secret recipes. Plus they’ll help you make up a batch of your own family recipe…simply bring them the seasonings already blended. Clara’s homemade meat pies, including rick steak, vegetable and creamy turkey potpie (not to mention the incredible tourtiere! ), are famous for their flaky crusts and special blends of meat and vegetables. Whether it be sausage or ham, all of our products are made lower in salt than the industry average. This allows for the natural flavour of the blended meats and spices to explode on your palette, and not on your BBQ! Order online for convenience. To learn more, go to www.rmeats.com.